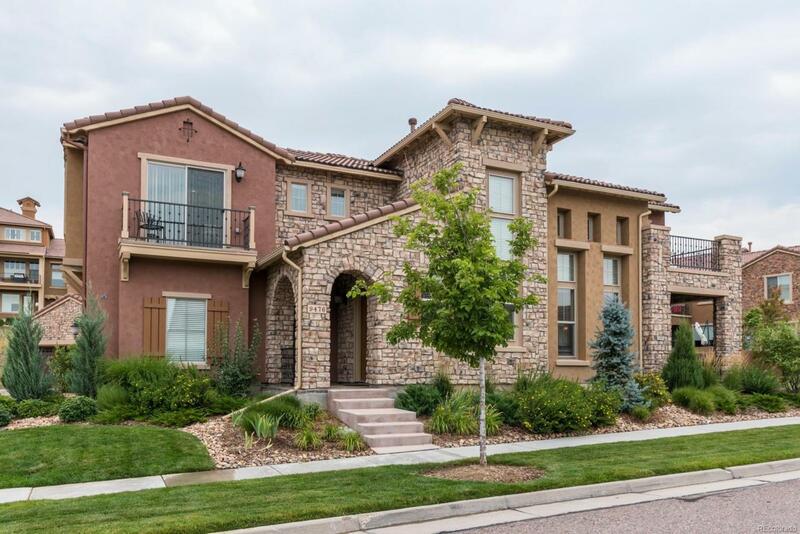 Wonderful attention to detail has gone into creating this beautiful residence in much sought after Tresana at Highlands Ranch. This home sits on a premium site offering views, and is in close proximity to the pool. Upgraded finishes include wood and tile floors throughout the main level, upgraded carpet on the second level, slab granite counters in the kitchen and bath, cabinetry, lighting, ceiling fans, custom window coverings and mirrors. Convenience features include central air conditioning, multiple dimmer switches for lighting, gas stub on main level patio, security system, home theater wiring in the great room and zoned sound wiring inside and on the patio. This home is conveniently located near neighborhood schools, shopping, restaurants, trails, recreation centers and has convenient access to C-470.